Probably not, but anyone else I would say yes :-). hahah That’s my humor..
Do you know hawaiians once believed that bullets wouldn’t kill them if fired from a musket? … The Hawaiians thought they were “bullet-proof”.. Guess what? The bullets still worked. Just like Energy… Even if you don’t believe in a bullet it will still work.. and Even if you don’t believe in Energy it still works. You might as well have it WORK FOR YOU.. then against you. Yes..I had my it guy set it up super simple. Just one click and you can download it and save it to your own computer. 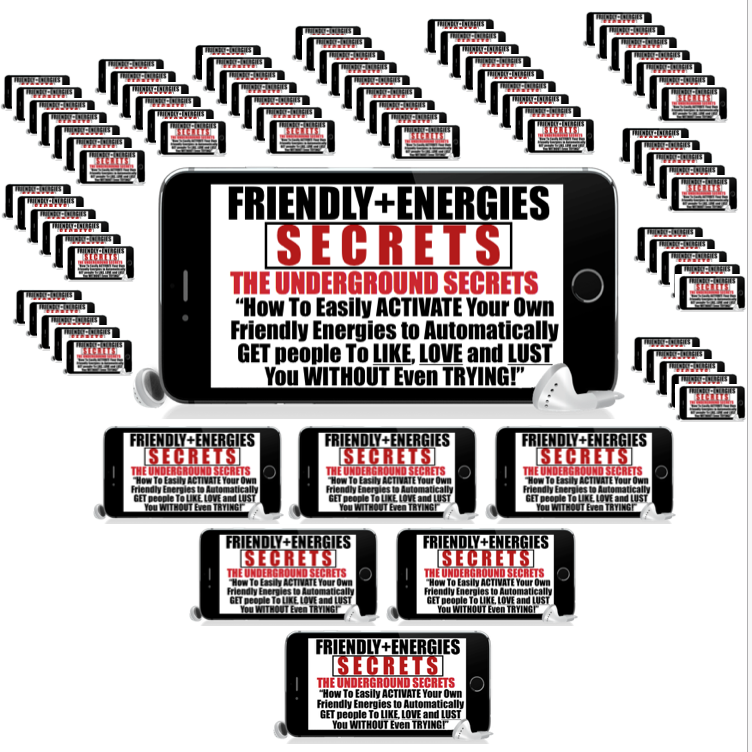 Well, I usually like to surprise you with stuff like this… But yes I am going to give you the entire “Friendly Energies” on Mp3 Too so you can listent to it anywhere you want. Common Question: “Do I Have To Pay for updates and New Bonuses? ?” No! Any bonus we add to this system you get it all FREE! Common Question: “IF I have questions, is there someone I can talk to ?” Yes! just email me at [email protected]and we will help you right away.